Properties in Murnau Station average 4.6 out of 5 stars. Fantastic Allgäuurlaub - recreation between mountains, castles and lakes. Property 10: Fantastic Allgäuurlaub - recreation between mountains, castles and lakes. Property 16: Beautiful property with views of the mountains and forest. Cozy apartment at Isar and Karwendel. 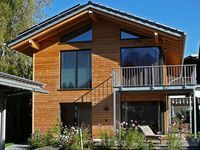 Property 24: Cozy apartment at Isar and Karwendel. Very cozy *** apartment with stunning mountain views for 2 pers. Property 35: Very cozy *** apartment with stunning mountain views for 2 pers. Spacious bright 3-room apartment with 2 bedrooms. and 2 bathrooms, very quiet. Property 36: Spacious bright 3-room apartment with 2 bedrooms. and 2 bathrooms, very quiet. Bergaurikel: Lovingly furnished apartment with Zugspitzblick. Quiet location. Property 43: Bergaurikel: Lovingly furnished apartment with Zugspitzblick. Quiet location. New !!! From December 2017. Dream apartment with mountain view for 2 persons. Property 48: New !!! From December 2017. Dream apartment with mountain view for 2 persons. 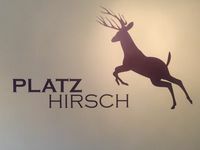 We had a great two days staying at the Platz Hirsch. The apartment was perfect for our family of 4. Iris was a wonderful host. The kitchen offered everything we needed to cook and we also enjoyed a great dinner at Colloseo. Thanks for a great stay. If we ever return to Garmisch-Partenkirchen, we will definitely stay here again. From the moment I stepped foot in the apartment, it felt like home. It is perfectly located with only a short walk into town and to swimming pool (WELLENBAD). There are so many hiking paths nearby to Hausberg, Riessersee, etc. The mountainous views are spectacular. With the GaPa card Fritz provides, you get 1 free entrance to pool. You can take the busses for free. Check out benefits by googling Gaps card. Fritz always stands ready to assist - he was very attentive, ensuring everything was ok. A good place to eat is Zum Wildschutz, 10 minute walk into town which he recommended. There is absolutely nothing lacking in this apartment. Fritz was so thoughtful - with beverages in the refrigerator and a delicious piece of cake. I was impressed in that he had a flower on kitchen table. A true gem of a vacation rental.